Furniture Forecast: More Gray Is On The Way! Simply saying that gray is the new black would be the understatement of the year. 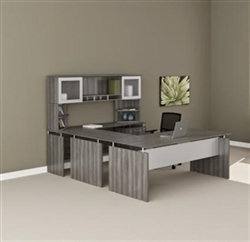 Gray office furniture and seating solutions have taken over the market in 2016. Today on Furniture Forecast we'll highlight the hottest gray desk collections, tables, and chairs on the market that prove this booming trend is here to stay. Rest assured, more gray is on the way! 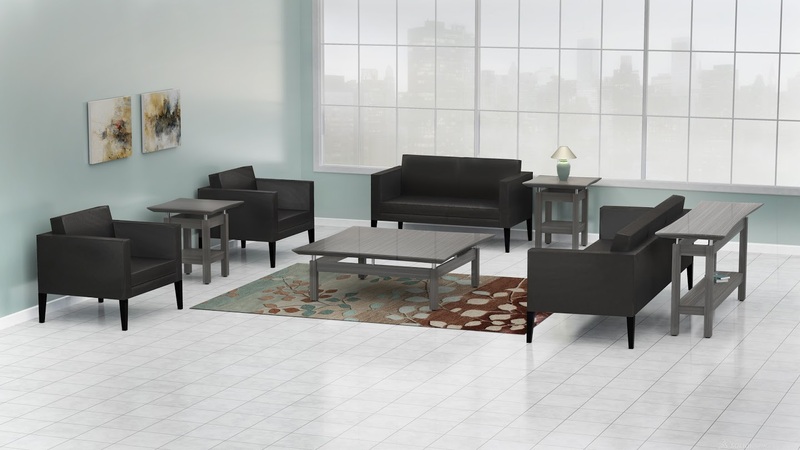 Brands like Mayline and Global Total Office set the gray furniture movement in motion. Mayline's Medina desk collection rocked the office world and become an instant favorite of design teams and industry professionals. 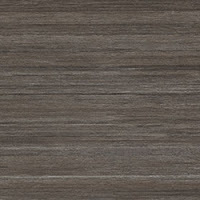 The Gray steel finish option from the Medina collection continues to be a breath of fresh air in a world looking for ways to escape the overly used cherry and maple finishes of a time gone by. 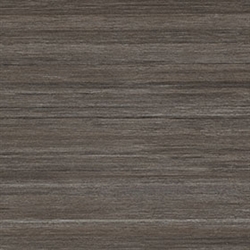 Global Total Office offers more than 5 cool gray finishes for shoppers to choose from. Their popular office furniture collections like Zira offer high tech modern reception stations and conference room tables that will help your business take corporate appeal to new heights in 2016. 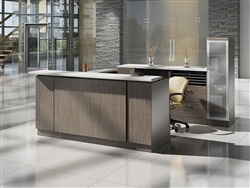 The Absolute Acajou finish option from Global Total Office is a must consider for any upscale makeover project. If you're ready to think outside the box by creating unique interiors that are up to date with today's hottest trends, Global has you covered. Gray has made it's way into office reception areas. With the success of Medina, Mayline made it a mission to continue the movement by offering reception area accent tables from their all new Sterling collection. With their Textured Driftwood finish, Sterling coffee tables and end tables offer a cool coastal vibe that you're valued visitors will love. Once gray furniture became the preferred choice for office remodeling projects, crafting chairs to match was a no-brainer! Take one look at the EEI-1028 model Escape chair from Modway and you'll see what we mean. 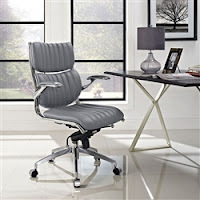 This mid century modern executive chair provides unrivaled appeal. Brands like Woodstock Marketing are also rocking interiors with cutting edge gray office chairs from collections like Joplin and Hendrix. Their rock legend inspired leather boardroom seating solutions have made it easy for businesses to capitalize on this booming trend without breaking the bank. What's next you ask? We fully expect more of today's hottest brands to skyrocket this trend into superstardom. Just last week we saw Flash Furniture introduce a gray leather upholstery option on popular reception seating collections like Diplomat and Imperial. More gray is definitely on the way. This cool wood and leather tone perfectly matches with light blue, bright green, and traditional black accents. You simply can't go wrong with gray in 2016 and beyond.